Jodrell Plays Games – Thoughts on the painting of, and playing with, toy soldiers. As soon as Forge World released this model I knew I wanted one! My amazing other half bought me one for Christmas, and I’ve just finished it. 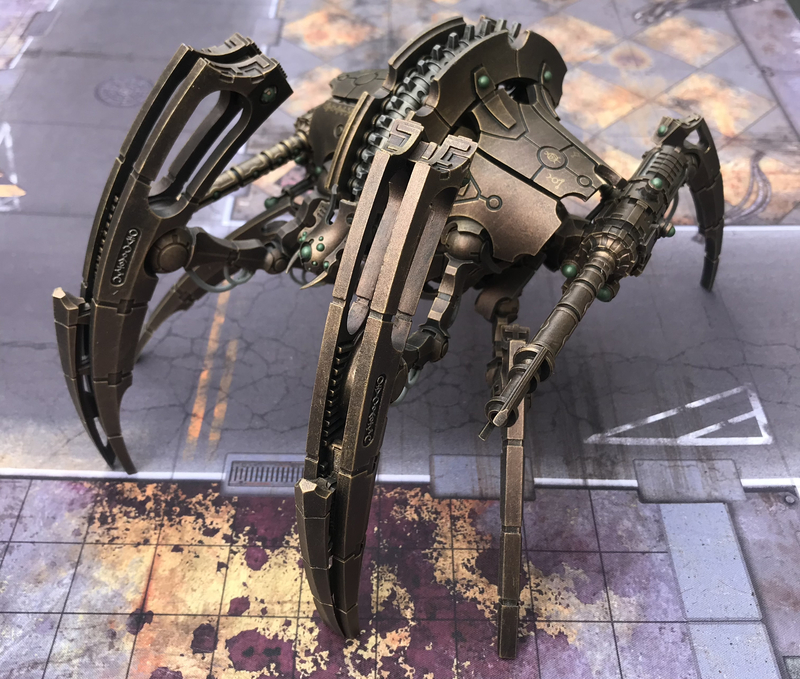 It has the same basic colour scheme as my other large Necron models: I used a piece of firm sponge to stipple Warpstone Bronze over a black undercoat, and then drybrushed with Brass Scorpion, finished with a highlight of Vallejo brass. Simple but very effective! Over the Christmas and New Year break I thought it would be fun to focus on a single model, and this is the result. 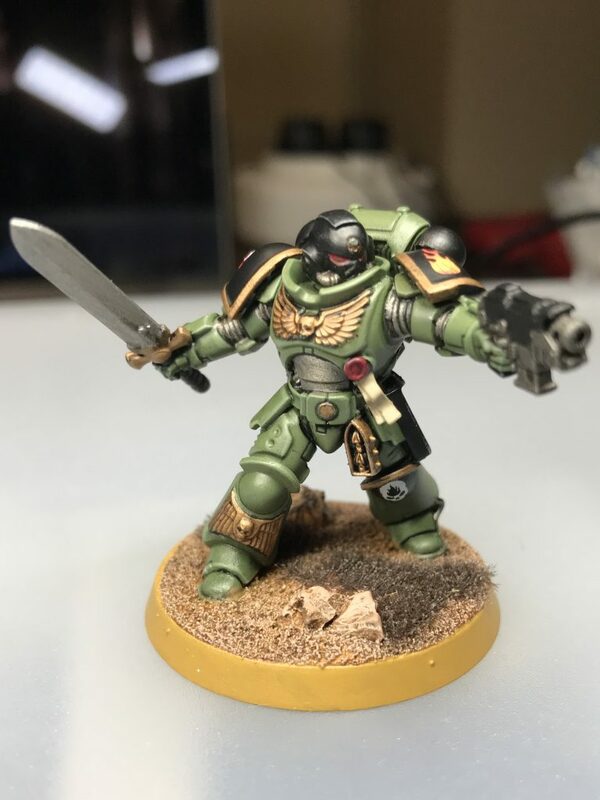 This Librarian for my Salamanders army is based on the model of Jensus Natorian of the Blood Ravens from Kill Team Cassius, with an alternate left arm and shoulder pads, and a bit of etched brass on the left greave. 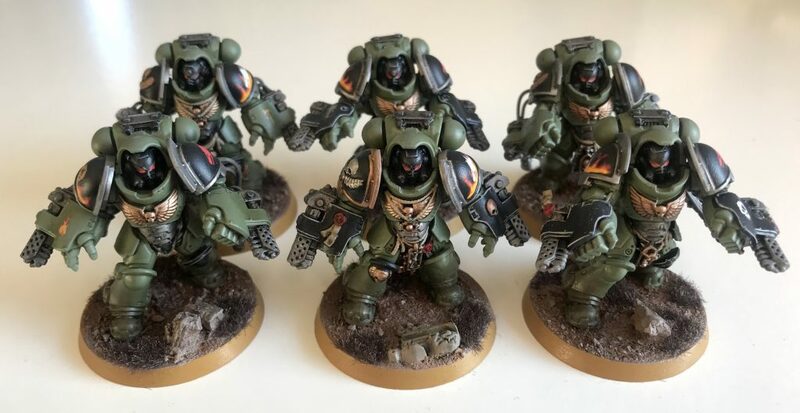 This unit is a mix of normal Aggressor models and the “easy-to-build” models. This means I can have a larger unit with no duplicated poses.  Not my best work but decent enough for the tabletop. 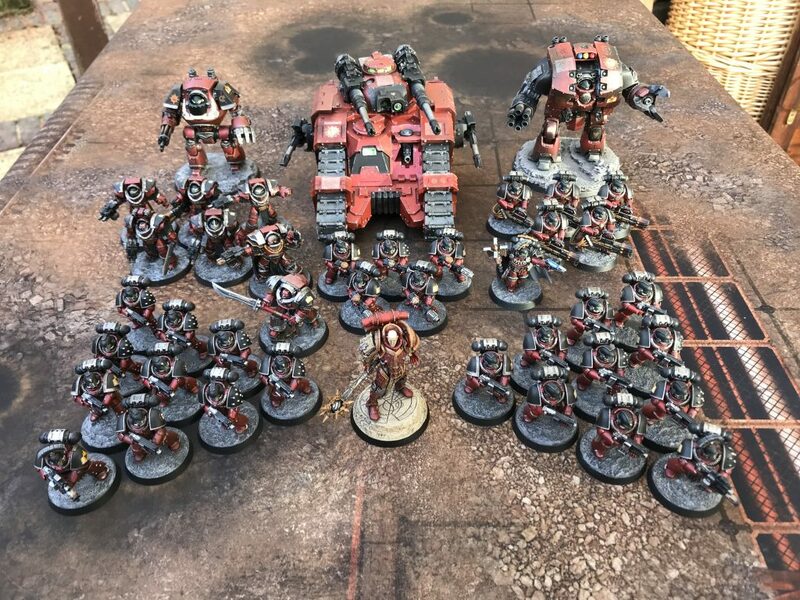 Here is my Word Bearers army for The Horus Heresy, which was painted for me (based on my test model by Mick Clark of Bunyip Studios. 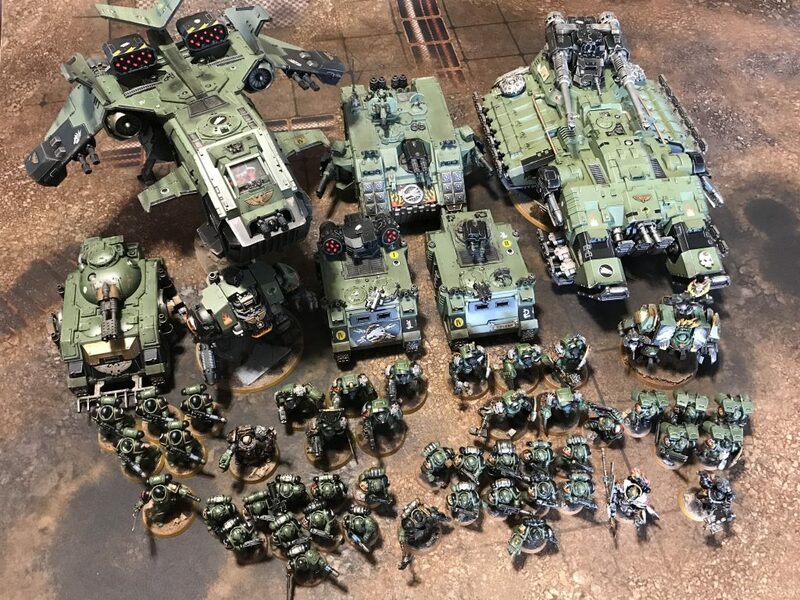 Mick put an awful amount of work into painting this army and I am delighted by how well it’s turned out. My copy of the new version of Adeptus Titanicus should arrive today, but that hasn’t stopped me from continuing to paint classic Epic titans! Here is a rather esoteric one: a Custodian Titan. 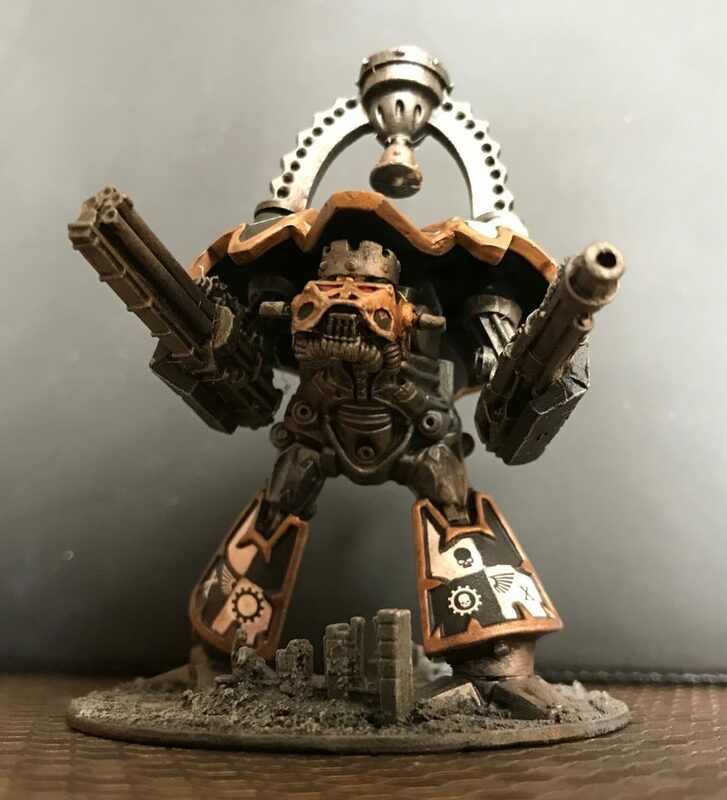 Each titan legion has a single Custodian titan, which replaces its carapace weapons with a Devotional Bell, built from sacred Terran metals and annointed with drop of the Emperor’s blood. The bell acts as a mobile shrine for the Imperial Cult and a rallying point on the battlefield. 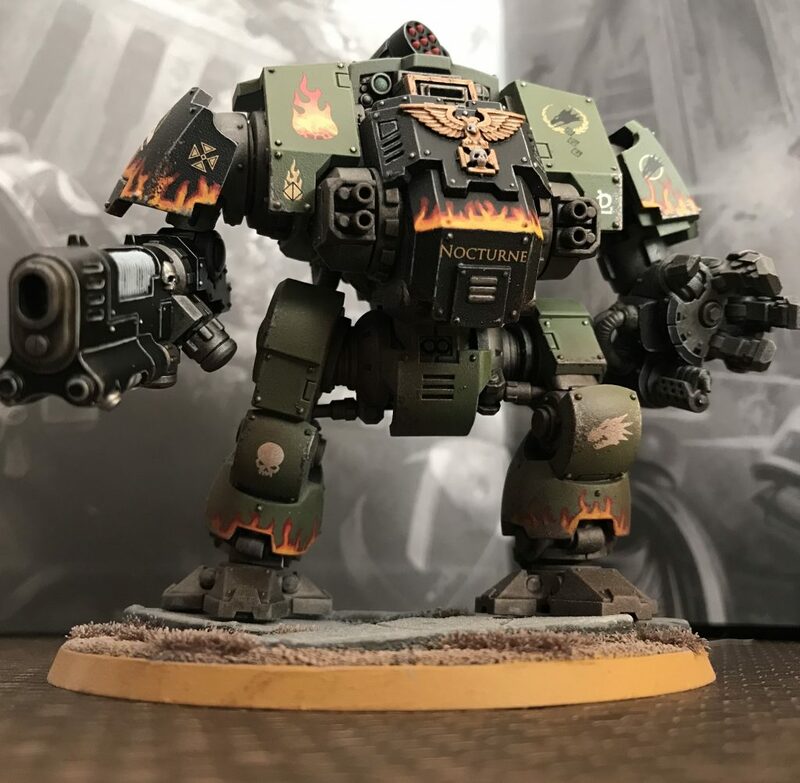 The presence of a Custodian Titan in a battle is a complete anathema to daemonic intrusions into the material universe as it directly extends the Emperor’s will and spirit to his mortal followers. As well as its Devotional Bell, this titan also has a Command Head and Carapace multi-lasers, and its arm weapons are Lucius-pattern weapons from the Mk III Warlord Titan. 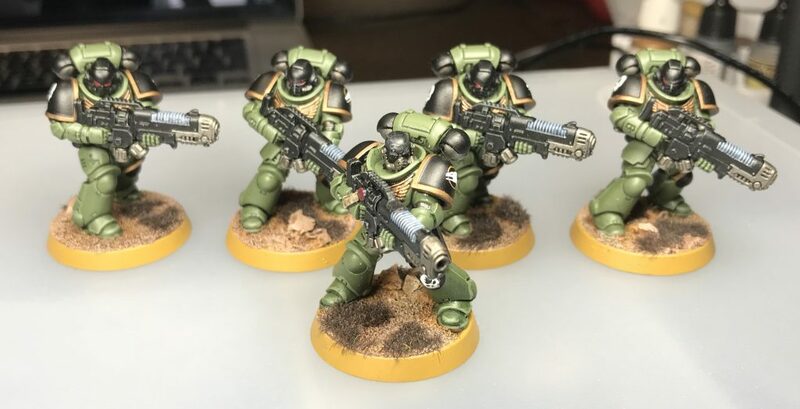 Here are the first Primaris marines to join my Salamanders: a squad of Hellblasters and a Lieutenant from the Dark Imperium boxset. 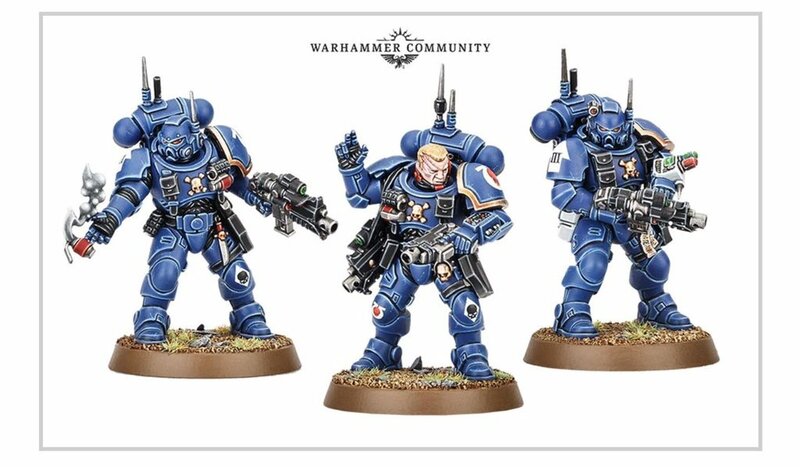 I will happily admit that I love the Primaris marines. They look awesome and are so much easier to paint (for a middle-aged man with poor eyesight like me). I will be adding more in the near future! 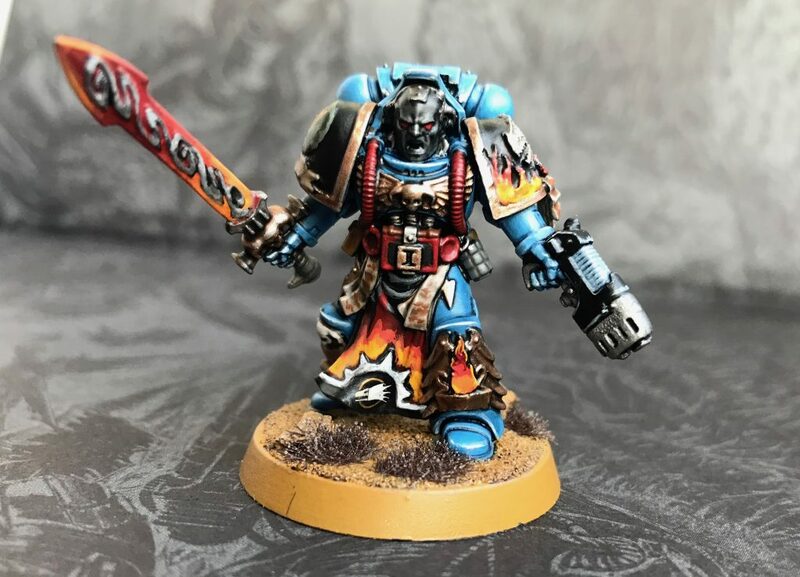 Xavier was a Chaplain in the Salamanders Chapter of Space Marines. 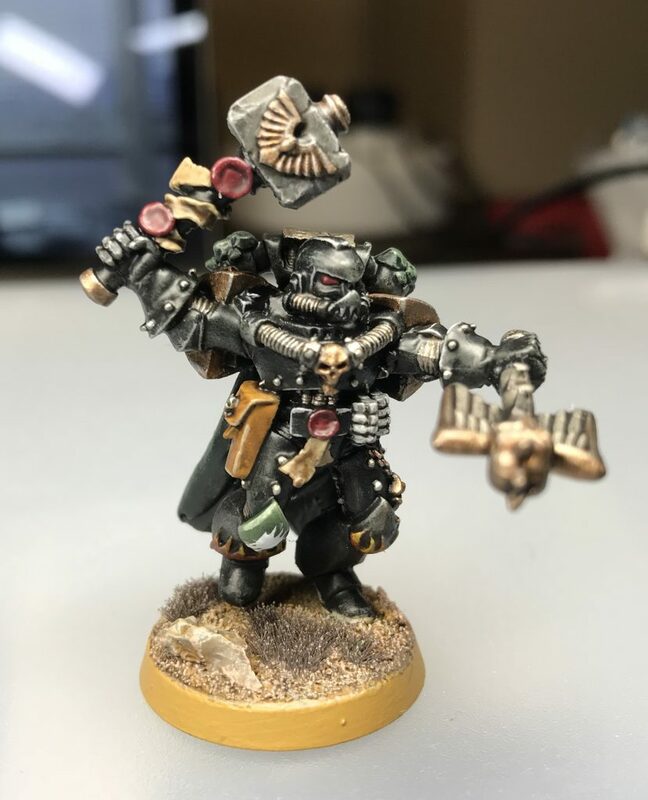 He is regarded as the greatest Chaplain the Salamanders have ever known. 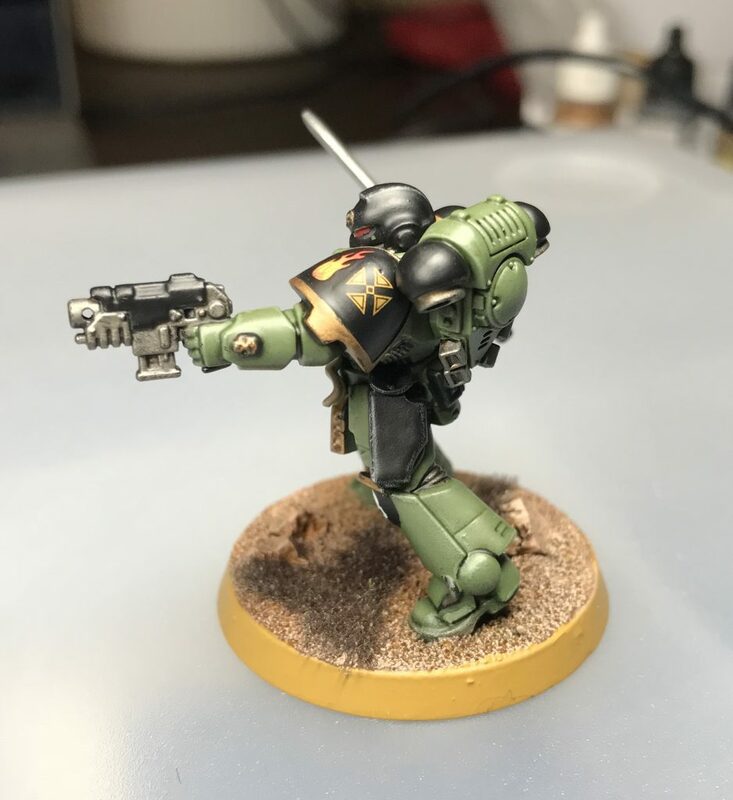 A proud upholder of the Salamander’s Promethean Cult, Xavier is said to have epitomised the Chapter’s ideals more completely than any other Marine in their history. Dedicated to encouraging his fellows in feats of endurance and fortitude, it is said that when Xavier led them, the Salamanders never fell back before an enemy. As a sign of this dedication, he was entrusted with the keeping of “Vulkan’s Sigil”, a relic believed to have been carried by the Primarch Vulkan. He is also famed for having slain a particularly ancient and monstrous salamander with his bare hands. Games Workshop re-released this model last year through their “Made To Order” service, and since it’s the only other Salamanders-specific model that GW ever made (apart from Vulkan He’stan), obviously I had to pick it up.